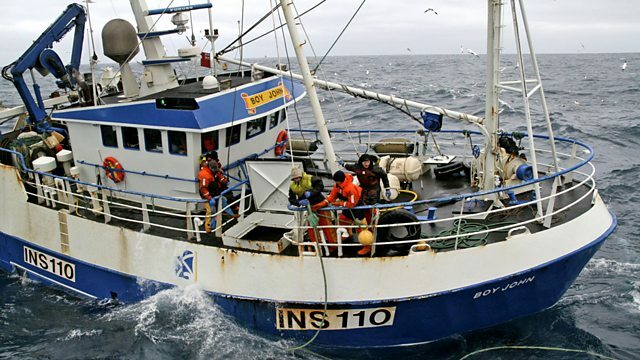 The documentary series following the work of Scottish fishermen centres on the two greatest young skippers of their generation, amid big hauls of prawns and terrifying breakdowns. In this episode, the stories centre on the two greatest young skippers of their generation. On the Fruitful Bough and the Rosebloom, cameras follow brothers working for, and in competition with, each other. There are huge hauls of prawns, terrifying breakdowns, and one trawler has its net completely ripped away by a massive swell.